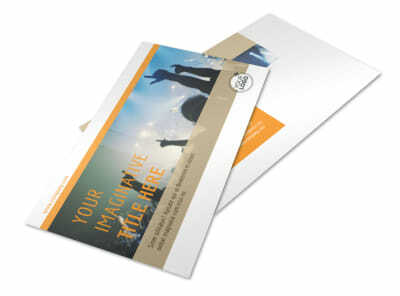 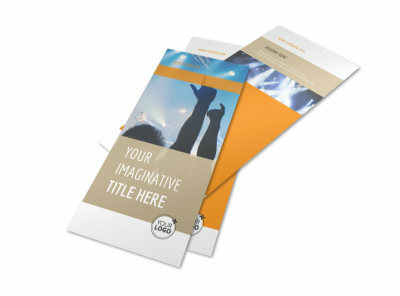 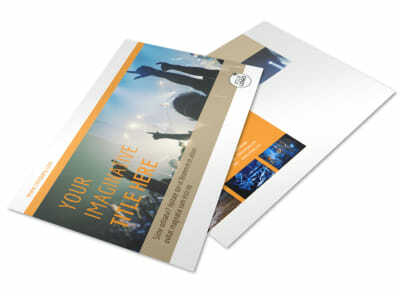 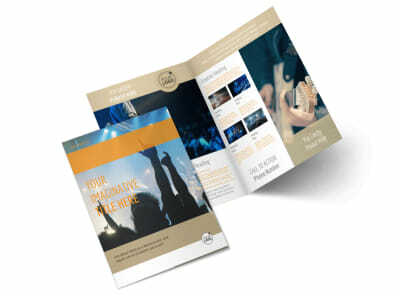 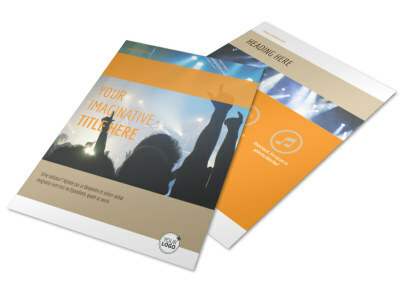 Customize our Music Event Flyer Template and more! 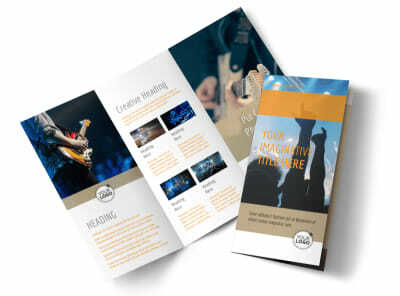 Promote an upcoming live performance with music event flyers made using our online editor. 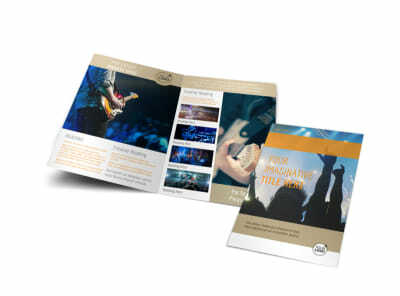 Customize a template with important details such as the name of the show being performed, the music group, choir, or orchestra that will be performing, and the date, time, and location, as well as price of tickets. 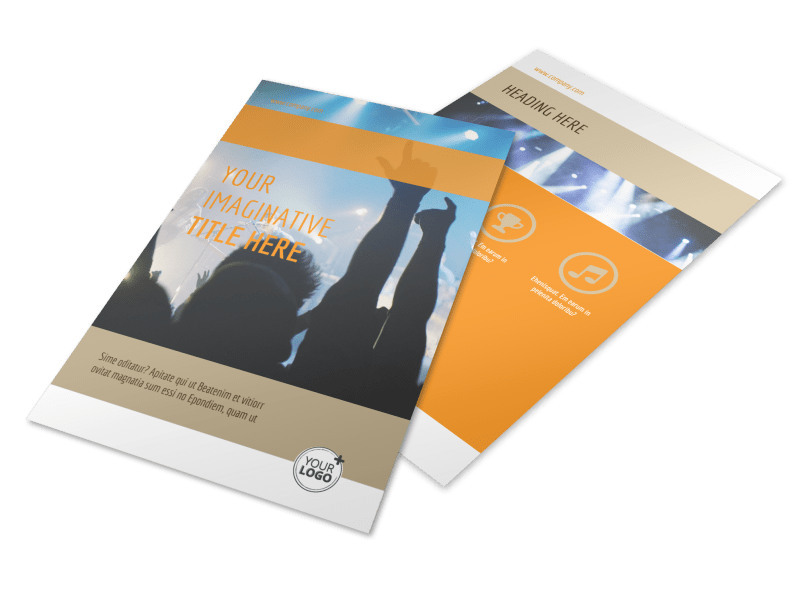 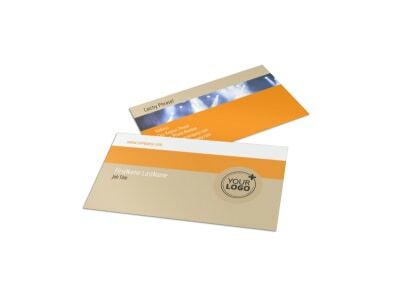 Add a high resolution image of the music group that will be performing or something related to the performance, choose a color theme and other design elements, and then send to our printers or print from your own office.